Tuesday and a beautifully sunny, mishap free day arrived in Buenos Aires. There’s no blue like a clear day in “BA”, as the locals call it. Liz and I wandered the haphazard, cobbled streets around the hotel, popping in and out of shops and lunching on the pavement of a “Parilla” restaurant. A mountain of steak, salad, grilled tomato and wine set us back a fiver a head. 8 pm saw the first rehearsal which went on till 11 at Tomas, local Dave Grohl lookalike’s, apartment. Out the back he has a wide, tiled, walled garden. The kind of space you’d kill for in a London townhouse. It was now midnight. Tomorrow was a working or school day depending on the age of our new friends so, after a long day, everyone did the logical thing. They all called their wives to bring the respective tribes of children round, the barbecue was lit and a delightful few hours were spent into the early hours eating, drinking and talking under the stars, music playing with no complaints from the neighbours. South American logic, you see? Sleep isn’t very important, having a good time is. Wednesday arrived and all the parts were assembled. Tim “TV” Smith arrived early in the morning after his 24 hour flight, with a day to be spent staying awake to avoid being completely messed up by the jet lag. So, a day sight seeing at the stunning Recoleta cemetery. And La Boca, home to Boca Juniors and vividly painted houses. At the lunch restaurant one of the cocktails offered on the drinks menu was “Vodka and Speed”! Perhaps a translation error but we decided to pass as everyone had ordered the “all you can eat pasta buffet” and thought it might be a waste of money after such an aperitif. Having just come from the cemetery across the road we also passed on one of the main courses, labeled on the English menu as a “Stiff”. Another 3 hours rehearsal in the evening but this time bed at a reasonable hour before the 5 hour journey south to the farming city of Tandil: home to the most famous sausage, salami and cheese in Argentina and soon to witness the respective Southern Hemisphere debuts of TV Smith and Duncan Reid and the Gaucho Big Heads. There were 2 support bands that night. Tim was to play at 1 in the morning and myself at 2 am. This was a Thursday night gig, remember, not a weekend. Try getting people out midweek in London past 10 pm! We checked into the hotel and all were in agreement that these were not the roomiest, brightest nor most recently decorated and furnished spaces we had ever stayed in. In fact, we were all looking forward to checking out. What didn’t bother us, though, was the dull thud of drums and bass coming from the band in the bar downstairs. We wouldn’t be getting to bed before 4pm so, of course, the din would be finished by then and wouldn’t disturb the precious few hours sleep to be grabbed before setting off on tomorrow’s 8 hour drive back north to Rosario. It’s a big country, Argentina. We arrived at the venue in time to catch The Nylons, a really entertaining Ramones tribute act. They feature a singer who gives a truly remarkable vocal impersonation of Joey. Close your eyes and it’s him. I’d wondered how Tim would go down here. He’s great of course, but Argentineans like their music with driving guitars and drums. How would our acoustic guitar backed political troubadour fare among a crowd with little grasp of English? No need to worry. Argentinean audiences are magnificently welcoming and Tim had them eating out of his hand, the reaction growing with each song towards a rapturous finale. And so it was with us. Absolutely bloody exhilarating. From the kick off with Montevideo, through highlights from Little Big Head and The Boys, to a finale with Tim on One Chord Wonders. Varying degrees of pandemonium ensued. At times a stern, school masterly, Mariano was required at the front to keep things in check. His magisterial gaze even made me feel naughty and I was meant to be on the stage. Afterwards, having towelled down a bit, there was a deluge of Latin warmth as I went back out to the venue. Photos, CDs for signing, kisses on the cheek, unfortunately from both sexes, hands to be shaken, backs to be slapped and hugs to be exchanged. At one point I was surrounded by 5 extremely interested and gorgeous teenage girls. Not the worst experience I’ve ever suffered but it would soon be dawn and I needed my beauty sleep. But help was at hand as I spotted a nearby Alex. Downstairs a band was playing Gaucho, horse riding, cow punching music and people were dancing. Outside, at 4.30 pm in the morning, in the equivalent of Kettering, people were queuing 4 abreast for 50 yards to carry on partying the night away. The whole of Tandil was up and at it. A multitude of dogs were joining in, engaged either in canine courtship or playing with the traffic up and down the roads. Back in the hotel the underlying band were in full swing and the paper thin walls were keeping neither their sound nor that coming from the other residents. The latter were either returning back, or just as likely, heading out for a little reverie before work in a few hours time. We did manage a couple of hours sleep though. On departure for Rosario shops were open and the populus were at work and in school. How, I don’t know, but there is much that is unfathomable about this admirable country. Tomorrow: the long road to Rosario when our intrepid troops would suffer from “car journey backside”. 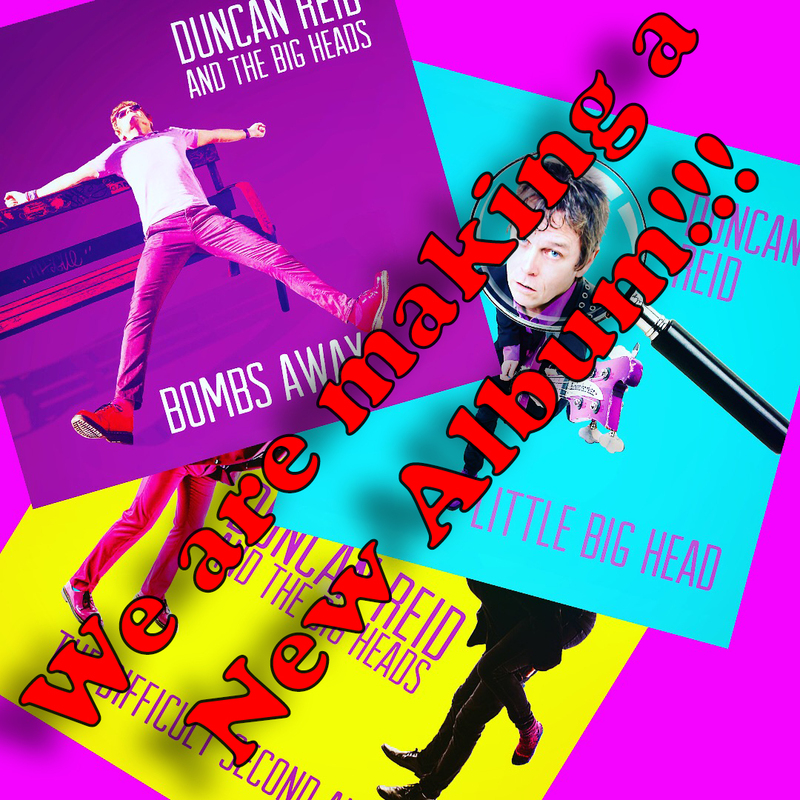 Posted on February 27, 2016 February 28, 2016 by Duncan Reid and the Big HeadsPosted in TouringTagged Argentina, Buenos Aires, Pop Punk, Punk, Tandil. Previous Previous post: Duncan and Tim’s South American Jaunt Part 2: a partially successful radio interview.